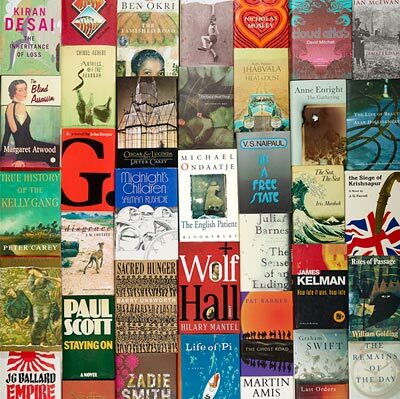 In 2018 the Man Booker Prize celebrates its 50th anniversary. The first award was made in 1969 but most of the novels shortlisted were published in 1968. The 2018 shortlist will be announced on 20th September and the 2018 winner on the 16th October. To mark fifty years of the prize we thought we would have a look at the Scottish writers and publishers that have been shortlisted for what is probably the most high profile prize for novels written in English. Over the last fifty years by our reckoning fourteen books by Scottish authors have been shortlisted for the prize along with seven books published in Scotland with some overlap between the two categories. Two novels by Scots “The Public Image” by Muriel Spark and “From Scenes Like These” by Gordon Williams a novel about a teenage boy’s life on an isolated Ayrshire farm in the early 1950s were shortlisted for the first Booker Prize in 1969. After that it was a long dry period for Scottish authors and the Booker until Muriel Spark was shortlisted again for “Loitering With Intent” in 1981. William Boyd’s second novel “An Ice Cream War” set in Africa and England during World War I and favourably compared to Evelyn Waugh made the shortlist in 1982. In the 1980s Scottish literature had a revival comparable to the Scottish Renaissance of the 1930s. Authors such as Alasdair Gray and James Kelman published major novels that dealt with Scottish life in both fantastical and realistic ways and Scottish based publishers such as Canongate and Polygon started to publish new Scottish fiction. This revival was recognised by the Booker when they shortlisted James Kelman’s “A Disaffection” in 1989. The changes in Scottish publishing were also reflected by the Booker. In 1993 “Under The Frog” by Tibor Fischer published by Edinburgh based Polygon was shortlisted. Although not by a Scot it showed that Scotland was now a power in literary publishing. Peter Kravitz the editor at Polygon had published Ian Rankin’s first novel and early works by James Kelman in the 1980s and by the 1990s Polygon were publishing literary fiction from outside Scotland. 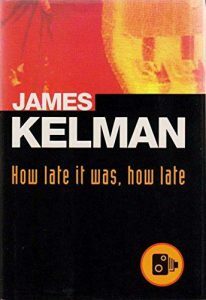 In 1994 a Scottish author won the prize for the first and so far only time when James Kelman won with “How Late It Was How Late”. Fellow Scot Alan Taylor was one of the judges that year. Kelman’s novel turned out to be the most controversial winner in Booker history or at the very least the most controversial since John Berger won with “G” in 1972. Berger had criticized the sponsor Booker-McConnall for exploitative trade in the Caribbean and also gave half of his prize money to the British Black Panther Movement. In 1994 one of the judges Julia Neuberger was reported to have threatened to resign if Kelman won and denounced his book as crap. Booksellers were also unhappy as they thought Kelman’s dark stream of consciousness novel was not commercial. All this controversy overshadowed the fact that Orkney’s George Mackay Brown was also shortlisted that year for “Beside The Ocean Of Time”. In 1996 two Scots were on the judging panel, novelist A. L. Kennedy; who has been long listed for the prize but not shortlisted; and journalist Ian Jack. Edinburgh born Shena Mackay was shortlisted for her novel “The Orchard On Fire”. No novels by Scots were shortlisted in 1997 and 1998 but two novels set in Scotland were. Although born and brought up in Belfast Bernard MacLaverty has lived in Glasgow for many years. His novel “Grace Notes” about Catherine McKenna a music teacher and composer born in Northern Ireland but living in Scotland made the shortlist in 1997. Magnus Mills’ first novel “The Restraint Of Beasts” is partly about a fencing firm in Scotland and was praised by Thomas Pynchon as “a demented, deadpan comic wonder”. It made the Booker shortlist in 1998. “Our Fathers” the first novel by Andrew O’Hagan was shortlisted in 1999. Jonathan Glancey description of the novel in a Guardian review both intrigues and gives an idea of O’Hagan’s ambition. Glancey summaries the novel as being “a guided tour of Ayrshire, a knowing description of the way Glasgow was rebuilt by concrete and corruption, an understanding of the effect of strong drink, a crash course in the poetry of Rabbie Burns, a menu of Scotland’s impossibly unhealthy food, a potpourri of its flora”. The late Beryl Bainbridge was famously shortlisted for the Booker Prize five times but never won. Inverness born Ali Smith has so far been shortlisted four times for “Hotel World” in 2001, “The Accidental” in 2005, “How To Be Both” in 2014 and “Autumn” in 2017 without winning. Sebastian Barry has described Smith as “Scotland’s Nobel laureate-in-waiting” but before she wins the Nobel might she becomes Scotland’s second Booker Prize winner? Edinburgh based publisher Canongate was founded in 1973 and initially published books about Scotland for the home market. It was a company with wider ambitions though and in 1981 it published Alasdair Gray’s first novel “Lanark” now regarded as a classic. After being taken over by Jamie Byng in 1994 it aimed to become a major international publisher. In 1998 it repackaged the first UK bestseller the King James Bible as a series of small books “The Pocket Canons”. With new introductions by the Dalai Lama, A.S. Byatt and Bono amongst others Canongate’s repackaging of the books of the Bible became an international bestseller. Canadian Yann Martel’s novel “Life Of Pi” was offered to and rejected by a number of London publishing houses but was picked up and published by Canongate in 2002. It became the first novel published in Scotland to win the Booker Prize and a huge bestseller, Canongate sold over a million copies in a year. It was the first of five books published by Canongate to be shortlisted for the prize. Graeme Macrae Burnet’s “His Bloody Project” is both written by a Scot and published in Scotland by Saraband. It tells the story of a murder in the Highlands in 1867 and became a surprise bestseller when it was shortlisted in 2016. Kirkcaldy born novelist Val McDermid is one of the judges in 2018 and it has been much remarked upon that a graphic novel “Sabrina” by Nick Drnaso has been included on this year’s long list. Less remarked upon is the inclusion of an epic poem “The Long Take” by the award winning Scone born poet Robin Robertson about a Canadian veteran trying to resettle in California after World War I. We will find out on the 20th of September if Robertson has made it to the 2018 shortlist. We currently have a display of books by Scottish writers and publishers shortlisted for the Booker Prize at the top of the staircase in our George IV Bridge building in Edinburgh. Alongside it is a case of books that many think should have been shortlisted but missed out including “Lanark” by Alasdair Gray, “The Wasp Factory” by Iain Banks and “Trainspotting” by Irvine Welsh.